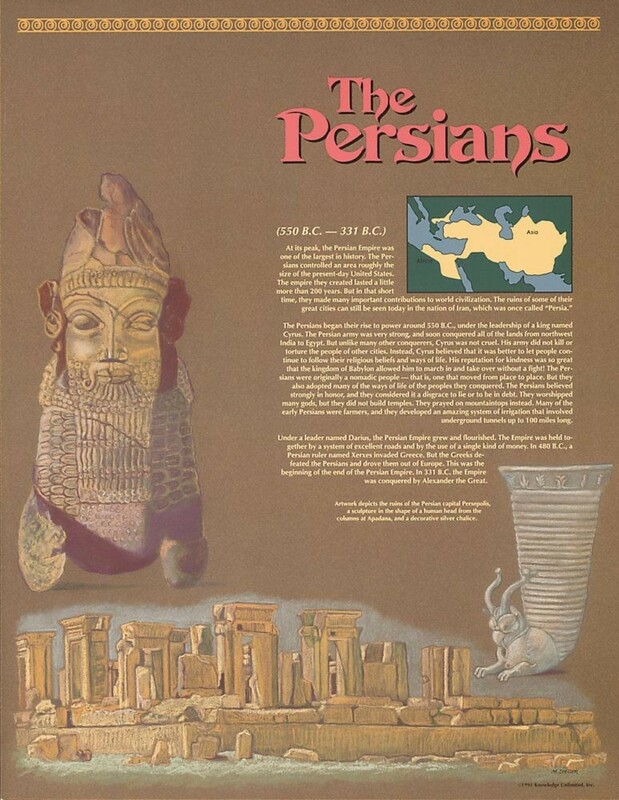 This educational poster of the Ancient Persians features artistic renderings of the ruins of the Persian capital Persepolis, a sculpture in the shape of a human head, and a decorative silver chalice. It also contains a concise and well-explained background of the civilization before it was conquered by Alexander the Great, and a small map showing where the civilization was centered during its prime. At its peak, the Persian Empire was one of the largest in history. Although it lasted a little more than 200 years, the ancient Persians made many important contributions to world civilization. 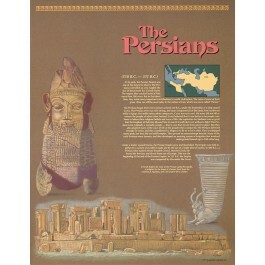 The ruins of some of their great cities can still be seen today in modern-day Iran, which was once called Persia.